When you're undertaking an Airstream restoration project, it's important to know what to look for and where to find the parts you need to complete the job. LoveToKnow Camping spoke with Steve White, an RV camping enthusiast with experience refurbishing an Airstream travel trailer, about the valuable lessons he learned throughout the restoration process. 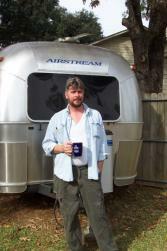 Why did you choose to restore an Airstream instead of purchasing a newer model? When I was ready to purchase a camper, I knew that I wanted an Airstream. I started pricing newer models, and quickly started looking at older models as a result of sticker shock. After all, I'm poor but handy. I actually do have a newer model Airstream now, but the first one I owned was a 1971 model, and I put a great deal of work into restoring it. I actually liked the layout of the older ('71) model that I ended up purchasing first better than that of the newer models. The bathroom was much bigger than the ones in the newer models, with an actual bathtub, and had more storage space for toiletries or other items. This may sound silly, but keep in mind that these days, the size of the bathrooms is a factor even in a house purchase. What do you think people find so appealing about restored Airstreams? Airstream has a reputation for making solid campers. There's no wood in the walls, which means they don't have many problems with leaking. They also look good for years with minimal maintenance, and the furnishings are nice. 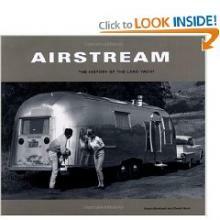 What factors should an individual consider when choosing an Airstream to restore? Airstreams are built to last, but the older ones sure weren't built with maintenance or replacement in mind. I learned the hard way that the floors are not made of treated plywood, hence if there is a leak in the camper, the bath, or kitchen fixtures, the floor will rot. My 1971 Airstream had a rear bath. I looked in to the back hatch (battery compartment) and it looked great. Upon further investigation, after buying the camper, I noticed that the floor had just rotted back in a uniform line to the point of attachment of the vanity. I had to replace the whole floor of the bathroom as part of my Airstream restoration project. The back eight feet of frame on my '71 was also rusted. Replacing the floor required removal of many, many, many rivets and screws that held the vanity, tub, toilet, closet, and door molding in place. Are there any particular structural problems to check for when thinking about undertaking an Airstream restoration project? The floor is an integral part of the frame of the camper. Take a small screwdriver with you when you look at the camper. Try to stick it into the floor where it's bare, which you'll find within access hatches and storage areas. If the wood is weak, think carefully before buying. The underbelly has a sheet of aluminum covering the whole undercarriage. If it is rusted, water can splash inside the underbelly and rust it quickly. It's not too difficult to patch, but it's also an important consideration. Do you have any suggestions for the best places to look for parts for to use when restoring an Airstream? Any good sheet-metal shop can make panels for Airstreams. Aircraft repair facilities have aluminum sheet-metal fabricators. Some of the guys that work in heating and air conditioning shops are sheet-metal hobbyists. Call and get someone who moonlights to make a patch panel for you. Lowriders are also a good source of high quality work, even if you don't like their rides; they can do great quality work while making an ugly car. Ask around at retirement communities for someone who was a body man when cars were fixed with sheet metal instead of Bondo. Old folks are interesting to talk to anyway even if you don't find a body man; you might find help for something else you need. Would you like to share any final thoughts that might be beneficial to people interested in undertaking an Airstream restoration project? For those of us who like to work with our hands, restoring a classic Airstream is fun and therapeutic. You'll probably pick up a few new skills while restoring it. They're great conversation pieces. Once you've gone through the systems on the camper, you'll know exactly how to fix anything that goes wrong with it, possibly saving thousands of dollars in repair costs. When you do wiring, always use a bit of electroxxx grease on the connection. It'll keep the wire from rusting, and get you years of trouble free use. LoveToKnow Camping would like to thank Steve White for taking the time for this interview, and wishes him happy camping in his Airstream. If you're interested in learning about White's current classic car restoration project, see Classic Automobile Junk Yards on LoveToKnow Antiques.